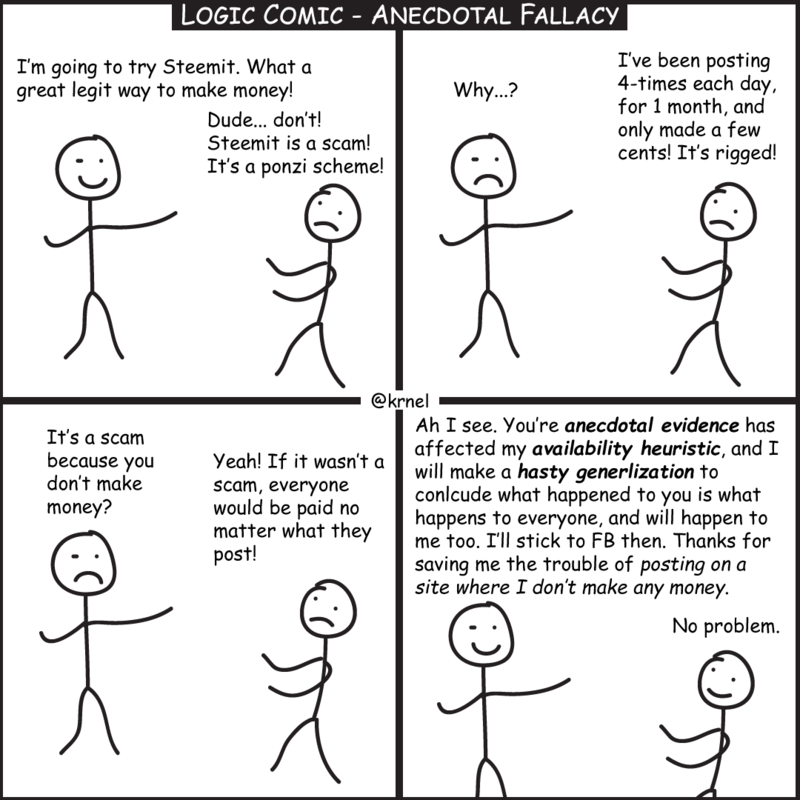 The anecdotal fallacy is to use a particular personal or isolated example to attempt to prove a generalized universal conclusion. The anecdotal fallacy is also known as misleading vividness. What is most vivid in our environment and most available (availability heuristic) to us, is what is first used to draw conclusions. This vivid availability of information in our memory affects how we process new information to draw or redraw conclusions. Instead of forming conclusions based on sound reasoning or more compelling evidence, we choose what is most personally available and vivid to weigh in on our judgments. We use one specific particular occurrence to induce a general universal conclusion for how it always occurs. One single premise is not enough to support the strength of a generalized conclusion. Logic is fun. It prevents us from fooling ourselves or being fooled by others.